Sugar-coating can put a positive spin on things. 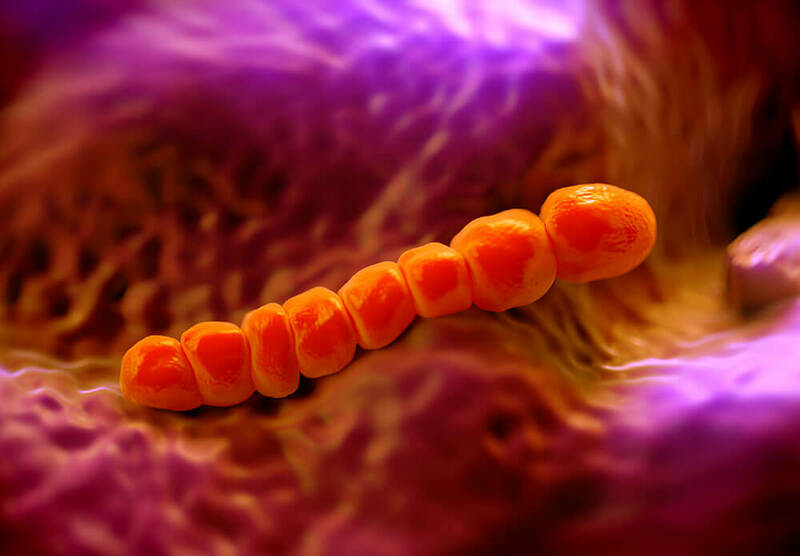 But when it comes to some bacteria, which cause diseases such as meningitis and pneumonia, their sugar coating is among the traits that make them so dangerous to humans. Read on to learn how scientists have developed a class of vaccines, known as polysaccharide protein conjugate vaccines, that teach the immune system to fight these microbes. Vaccines are a powerful public health tool that saves two to three million lives each year around the world. The earliest vaccines used weakened or dead forms of the virus or bacteria as the antigens (antibody generator), the key ingredient that stimulates an immune response. Increased understanding of the immune system over the past century has led to the development of several different types of vaccines, each with their own production process. One common type, the subunit vaccine, uses only a piece of the microbe as the antigen, rather than the whole cell, to stimulate an immune response and develop immunologic memory. Encapsulated bacteria have polysaccharide coats that help them evade detection by the immune system. The body’s frontline defenders — neutrophils, macrophages and other phagocytes — regularly patrol the bloodstream for foreign invaders. When they spot a foreign antigen on a pathogen, they latch onto it and ingest the microbial invader. Because their sugar coat masks their antigens, encapsulated bacteria can avoid being destroyed by phagocytes. But the immune system has other weapons in its arsenal to defeat bacteria. Namely, the white blood cells, B-cells, have receptors on their surface that can bind to the sugar coat of bacteria and activate an immune response, producing specific antibodies. A polysaccharide vaccine builds immunity by exposing the immune system to a piece of sugar from the bacteria’s coat. B-cells recognize the sugar antigen, and stimulate an immune response — including memory cells that can recognize the pathogen upon future exposure. But in infants and small children, who have underdeveloped immune systems and are vulnerable to the infections caused by encapsulated bacteria, polysaccharide vaccines alone can’t stimulate an immune response. For this reason, scientists use a technique known as protein conjugation — also used in the flu vaccine — chemically binding the polysaccharide to a protein that helps the immune system better recognize the antigen and build up memory cells. The manufacturing process to produce a polysaccharide protein conjugate vaccine is a global operation involving multiple manufacturing sites, each highly specialized in producing their part of the formula. Some 1,700 scientists, technicians and support staff are needed to perform the 581 steps to make a single dose of one vaccine. To start, the polysaccharide antigens are produced on a large scale. This is done by starting with “seed” pieces of the polysaccharide bacteria capsule and fermenting it in large vessels. “This part of the process is like adding yeast to make yogurt or other fermented products to make a large mass of bacterial product,” says Enda Doyle, Vice President of Pfizer Global Supply Strategy Development. The resulting formula must be purified to remove unwanted debris and then frozen so it remains stable. For pathogens that have multiple strains, the process is then repeated for each serotype, or type of bacteria. Next, the protein carriers are produced. Each polysaccharide gets its own unique protein that helps it be recognized by the immune system. The polysaccharides are then unfrozen and “conjugated,” a chemical process that attaches it to its protein carrier. Then the different serotypes are combined for the first time in a single vessel in a process known as formulation and mixed to ensure homogeneity. An adjuvant is added, a substance that helps stimulate the immune response. Finally, the vaccine is filled in syringes and vials and is ready to be packaged. The process of filling syringes and vials is conducted under the most stringent and controlled conditions, to ensure the product remains sterile and each container has exactly the right amount of serotype to ensure vaccine effectiveness. Rigorous testing is completed on each batch of product. In the end, after three years of coordinated production, the vaccines are ready to shipped around the world to help provide protection to people. To learn about the meticulous process of shipping, storing and delivering vaccines to patients around the world, read here.